Trading Chaos Expert Lite is a light version of Trading Chaos Expert. 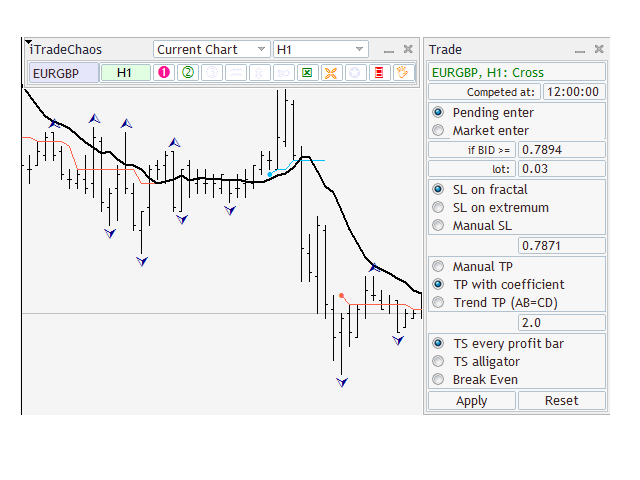 In the Lite version it is not possible to receive the table of trading signals, automatically place pending orders based on them and maintain open positions for multiple symbols at the same time in one window. Only the Current Chart mode is available. In all other features the panel is fully consistent with the basic version of the Expert Advisor. This is, rather, a well thought out trader's assistant which is not easy to do without, having tried it in action at least once. Attention! Expert Advisors in the form of panels cannot be tested in the Strategy Tester! To be able to check it on your demo account, you should download a free demo version of this Expert Advisor - Trading Chaos Expert Demo. For easy analysis of trading signals and placing pending orders to enter the market based on them, use the Slider profy utility, which connects to the template that includes an Expert Advisor and necessary indicators for market analysis. The EA trades in the window and on the TF to which it is connected. If a trader opens many windows and activates the EA, it will enter the market and maintain the position for all pairs simultaneously. The main condition is that the window with the Expert Advisors should be open. Open a new window. Make up a template with the necessary indicators that clearly indicate the trading signals. Attach the trade panel to it and save the template. The trader opens a symbol chart on any timeframe and instantly sees the trading signals instantly for opening a position. Click on a trading signal in the panel to open an additional panel which allows to place a pending stop order on the basis of the trade signals. In case of level breakthrough, the EA enters the market and starts maintaining a deal based on preset parameters of stop loss, take profit and trailing. 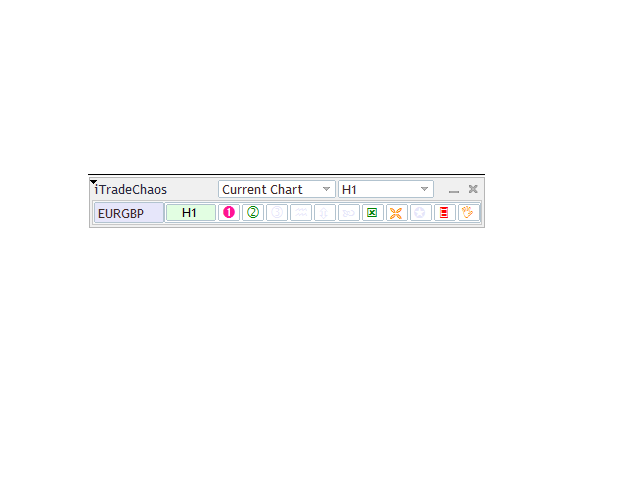 Added the ChangeTrend_Bars parameter to the settings (default = 10). It limits the search depth of the Change trend signals. For example, if set to 1, only the preliminary signals and signals generated on the last closed bars will be displayed.